10 Reasons Why Simply Be Are KILLING It! We are at the precipice of huge change in the world of stylish clothing, it feels as though we've been teetering close to the edge of change for quite some time now but as the Plus Size Fashion Posse grow in strength, volume and numbers, now is an exciting time in the Plus Size community. Brands are always just that little (sometimes, a lot!) bit behind when it comes to catching up to what customers want but one brand is absolutely KILLING it right now. Simply Be have always been a haven for plus size hotties, a store that has a wide range of sizes in actual stylish clothing and, not only that, but their collections, collaborations and brands housed instore and online within Simply Be are second to none when it comes to bigger sizes. What could possibly be better than finding stylish clothing in plus sizes? Getting a complete bargain, that's what, and the Simply Be Outlet is packed to the brim with pieces that SLAY! Looking for a plus size dress under £20? Simply Be got your back! Shop the Simply Be Outlet here. Everyone loves and DESERVES to shout a little personality on a casual day, right? Right! Simply Be know this all too well and have a great range of slogan t shirts sized up to 32 so we can all have a chance to make a statement with our t shirts. Shop Simply Be T Shirts here. Fed up of clothing brands thinking if you're plus size you're not into fitness? Simply Be know better! They offer a solid range of fitness clothing, from named brands such as Pineapple, Ellesse and Adidas in a wide range of sizing - rejoice! Shop Simply Be Fitness Gear here. 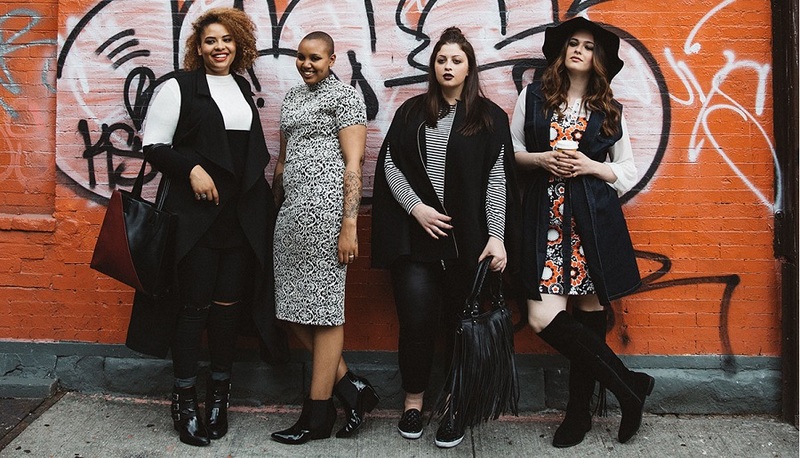 All hail Simply Be who know that plus size hotties deserve to be warm AND stylish! Their range of faux fur coats are giving me life right now. Shop Simply Be Faux Fur Coats here. Slay Ashley, Slay! Straight off the NYFW catwalk, Simply Be have brought the Ashley Graham Black Orchid Collection to UK shores and we couldn't BE more happy about it! Shop the Ashley Graham Black Orchid Collection here. A plus size store that rounds up trends on a stand-alone page with clickable shop buttons? KILLING IT Simply Be, KILLING IT! 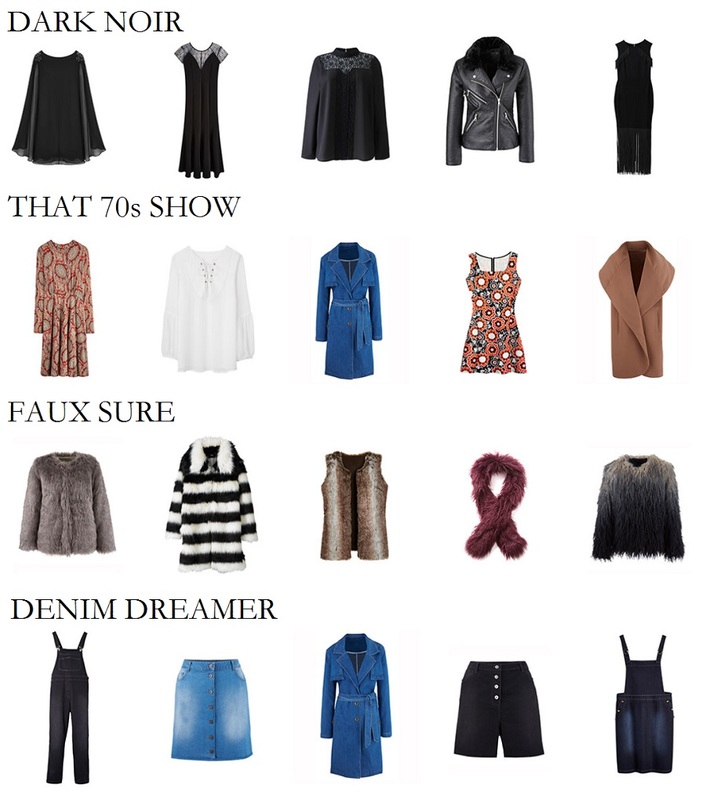 Plus, can we just take a moment to appreciate how bang on trend they are with their collections? Shop their on-trend key pieces here. Simply Be knows that everyone deserves a chance to stomp it out on life's catwalk and makes sure that us gals with bigger calves and curvier legs can do just that. Stomp! Stomp! Stomp! Shop Wide Fit Knee High Boots here. Yup! Actual Coast in ACTUAL plus sizes! Can I get an AMEN? The Coast Plus Size Collection is exclusive to Simply Be and available in sizes 20 - 26 and it will ensure you are the belle of whatever ball you're headed to Cinders. Shop the Coast Plus Size Collection here. Simply Be know the power of what featuring REAL LIFE plus size babes can do for your brand and they work it like no other brand I know. Their Simply Be Real campaign KILLED IT and the ad SLAYS! (You can watch it here). Not only do their ad campaigns give us life, they have recently teamed up with curvy blogger extraordinaire Sprinkle of Glitter for an exclusive range of plus size clothing with a little sprinkle of fun. Shop the Sprinkle of Glitter Collection at Simply be here. As if Simply Be would stop there! They don't just work with bloggers with books or bloggers that want to be models, they work with LOTS of amazing plus size bloggers. With real shapes and real sizes, with problem areas just like the rest of us. Nothing entices me more than seeing what a garment might look like on my body shape before hitting the BUY button plus it's fantastic seeing some of my own all time favourite plus size bloggers flying the flag for such a huge brand so virtual high fives to B from Pamper and Curves, Charl from Ginger Girl Says, George from Fuller Figure Fuller Bust, Georgina from She Might Be Loved... Not even scratching the surface but all some of my faves and all repping plus size like their lives depended on it. Your eyes do not deceive you. It may seem an unlikely collaborative collection but OMG! LIFE! Style Icon Jameela Jamil has recently launched a collection with Simply Be that consists of stylish statement pieces in sizes 10 through to 32, making it rather a solid collection in regards to the range of sizes available and that Leopard Print Dress? WERK! Shop the Jameela Jamil Collection here. Simply Be, we salute you! The Style Guide blog is The Agoraphobic Fashionista's next and newest chapter, focusing on beauty, style and lifestyle. I wish to create a fun and positivity-filled site where not only can I lose myself writing but you can spend some time reading. Local Women Coleraine & Belfast Plus Size Fashion Columnist. Columnist of the Year Finalist 2016. © The Style Guide Blog. All rights reserved.